Demi Moore was all about the colors while at the KIA Telluride Supper Suite in Park City this week. 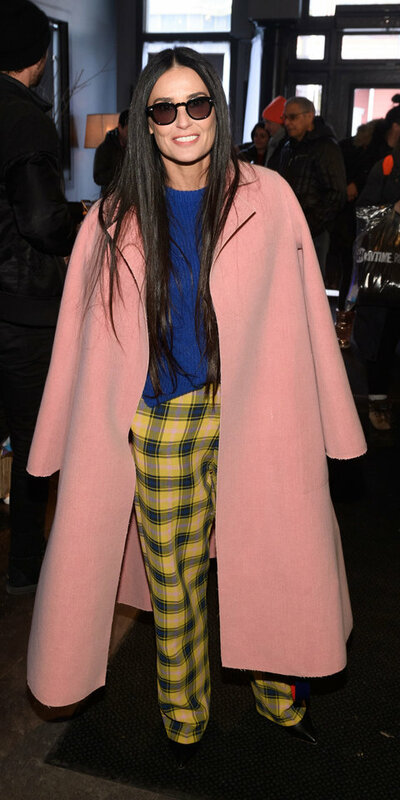 During the film festival, she wore this Derek Lam ensemble, which consisted of a blue knit sweater, plaid trousers, and a pink overcoat. She accessorized with a cerulean bag and Malone Souliers boots while checking out the mou footwear at the suite. Loving her winter style choice. What about you?